Dave Meehan; Ciaran Reilly, Thomas Hyland, Ross Carrig, Ciaran Nangle; Chris Straessle (Daniel McGuinness, 89) John Sullivan (Greg Moorehouse, 62), James Lee, Alan McGreal; Patrick Cannon (Daniel Loughran, 79), Ger Rowe. Conor O'Malley; Ger O'Brien (James Chambers, 56), Lee Desmond, Sean Hoare, Ian Bermingham; Jack Bayly (Chris Forrester, 68), Conor McCormack, Sam Verdon; Morgan Langley, Cyril Guedje (Ciaran Kilduff, 76), Jamie McGrath. 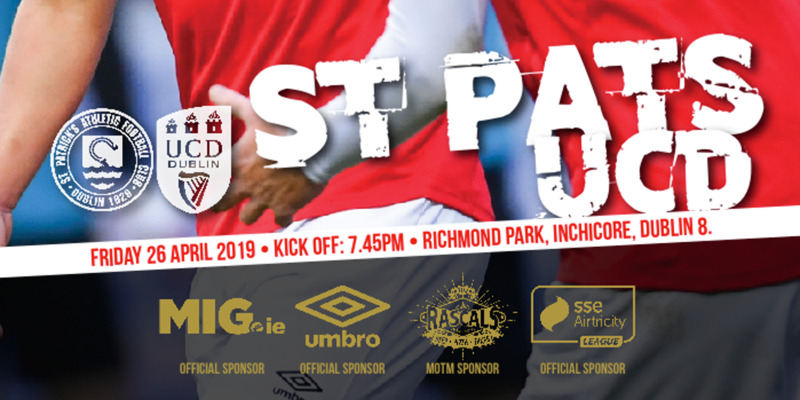 St Patrick's Athletic secured their quarter-finals spot after seeing off a spirited Crumlin United side 4-1 in their Dublin derby at Richmond Park. 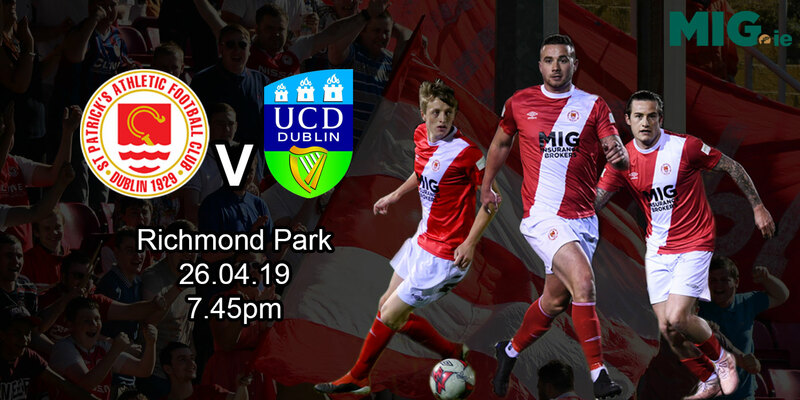 Sam Vernon struck the Saints' opener in the 15th minute when an alert Jamie McGrath capitalised on Cyril Guedje's heavy touch and found Sam Verdon, who blasted his shot past Crumlin keeper Dave Meehan from 15 yards. Pat's dominated possession for the remainder of the half but were unable to breach a well organised Crumlin defence. The Leinster Senior League side exerted sustained pressure on their more illustrious rivals after the restart, with Chris Straessle heading a good opportunity wide after Ger Rowe and Alan McGrael initiated a Crumlin raid down the left wing. 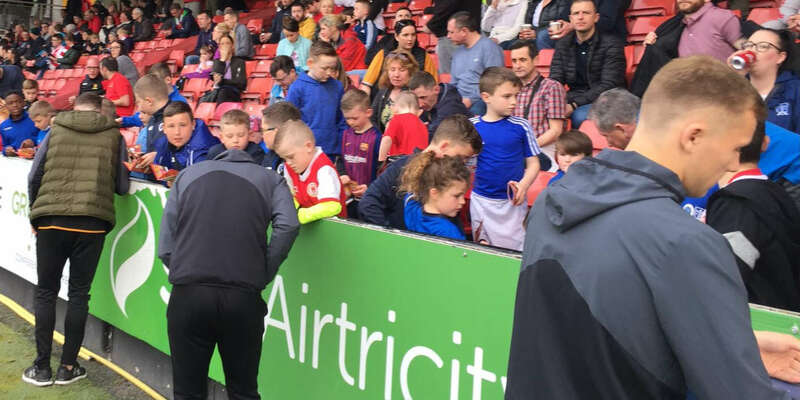 McGrael, who played an instrumental role in Crumlin's best moves, found Patrick Cannon with a sublime through ball minutes later and the striker kept his composure before slotting the ball past St Pat's custodian Conor O'Malley. With a potential upset in the offing, St Pat's rediscovered their collective focus. Only a goalline clearance prevented Ger O'Brien regaining the lead for the Saints, but the Premier Division side hit the front for the second time in the match when the unfortunate Ross Carraig turned Conor McCormack's centre into his own net in the 67th minute. Meehan will have nightmares about the third goal he conceded on the night as he flapped hopelessly while attempting to parry 71st-minute James Chambers 25-yard drive, while Verdon bagged his second goal of the game with a rasping shot from distance.